Mid-Autumn Festival (15th August in Lunar Calendar), how can the festival being celebrated without candle? Lit the candle in paper lantern, you will be overwhelmed with the festival atmosphere. While walking with the lanterns, do bring along candles, so as to replace the candle, let the lanterns lit all the way. 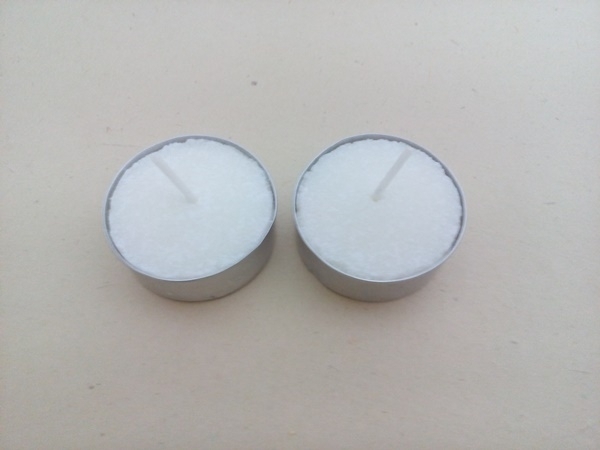 Parents might worry their young kids too active & burn the lantern, you may consider using this type more stable candle. Let your kids have a memorable Mid-Autumn Festivel, it will be their sweet memory as they grow up. The brightness is slightly lower compared to traditional stick-shape candle, but it is more long lasting. It's not suitable to keep in high temperature place, to prevent melted.